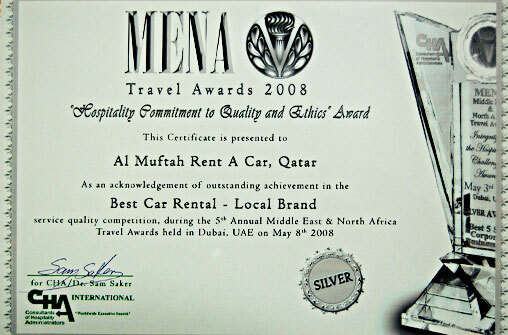 Al Muftah Rent-A-Car is a name that has excellent customer service, reliability and an unmatched goodwill of decades to its credit. 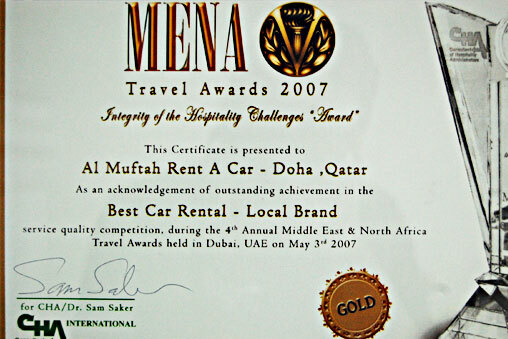 We provide our customers with competitive rates and excellent services which in turn has helped us achieve customer patronage. 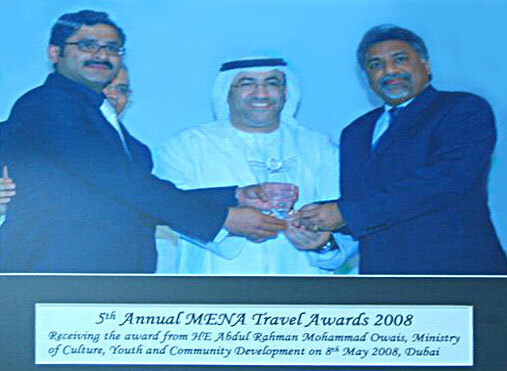 That our main advertisement is our customers’ word-of-mouth is an achievement in itself. 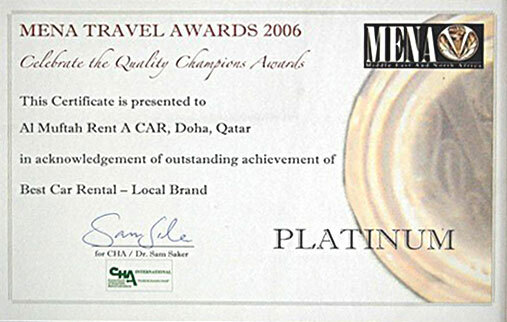 The emphasis we place on high levels of personalized services has earned the company the ISO 9001 certification. 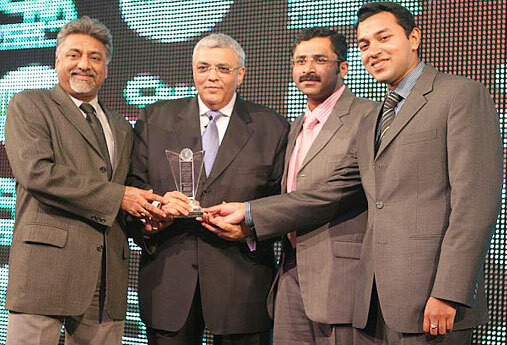 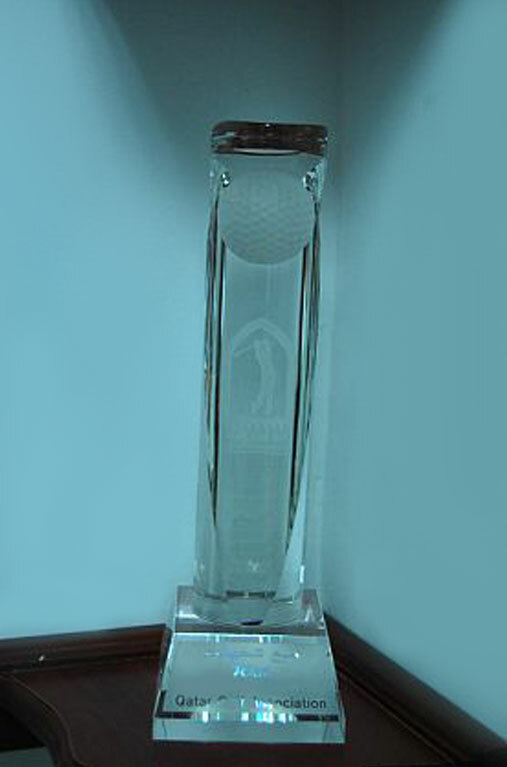 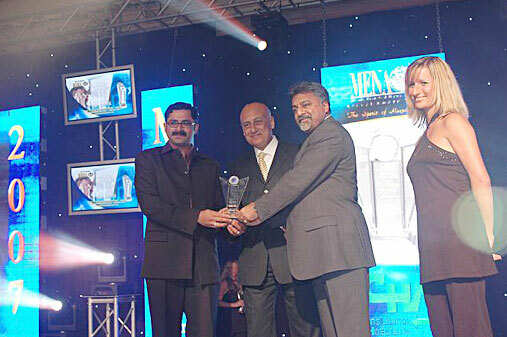 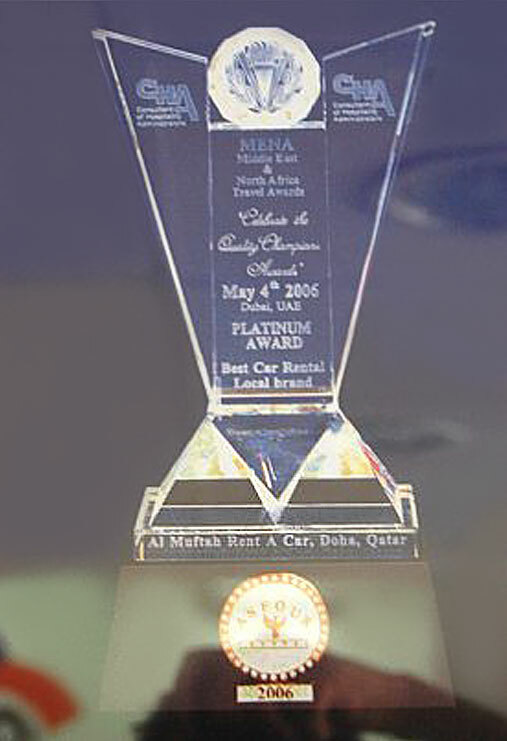 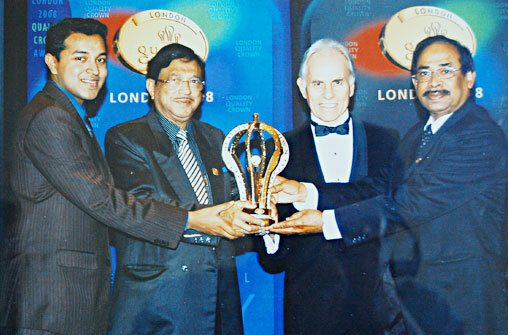 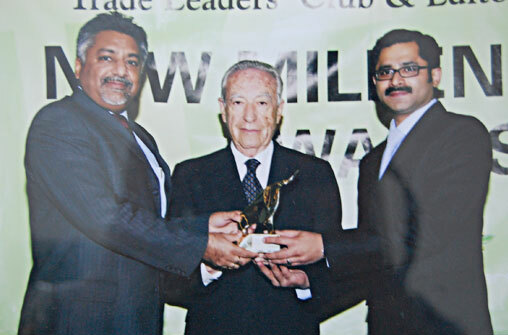 Besides that, we have also received the MENA Travel Award in 2006 for being the best car rental – local brand in the Middle East and North Africa by C.H.A International.